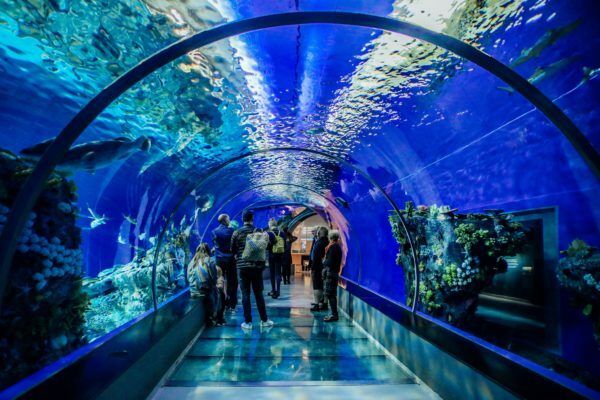 This guest post, by Gabrielle Roffe and Curtis Bennett of the National Aquarium’s Conservation Department is the second in a 3-part series on their Innovative Solutions Grants+ project. This project will be addressing the issue of marine debris by implementing a new approach to community engagement, with a specific focus on building our connection with the Hispanic communities near Masonville Cove in the Chesapeake Bay. ESL students at Ben Franklin High School at Masonville Cove. Over the course of our project so far we have been fostering relationships with each of these groups and in the following paragraphs we’ll outline our engagement with each group to date. TAYR is a Hispanic religious congregation that hosts weekly services at the Pathway Church of God, located within the Brooklyn community. 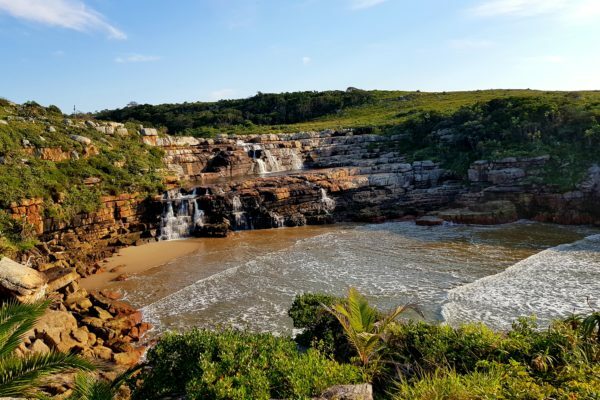 We scheduled an initial meeting with the Pastor and his wife, during which we explained our organizational mission and they immediately connected to the importance of community work and protecting the natural environment. It was very relatable to them, because they told us that in the areas where they come from, in their countries, nature is abundant, and they recognize its value and thus appreciate the value of nature in their current communities and at Masonville Cove. Once we had the support of the congregation leaders, we then started to branch out to the congregation as a whole. We attended Sunday school and church services to talk about the various events at Masonville Cove and our community workshops, such as our Watershed 101 workshop, which we were offering in Spanish. The Pastor and his wife also suggested hosting a community cleanup after Church services. The planning of the event was a truly collaborative process, working with them to finalize the structure and flow of the event. 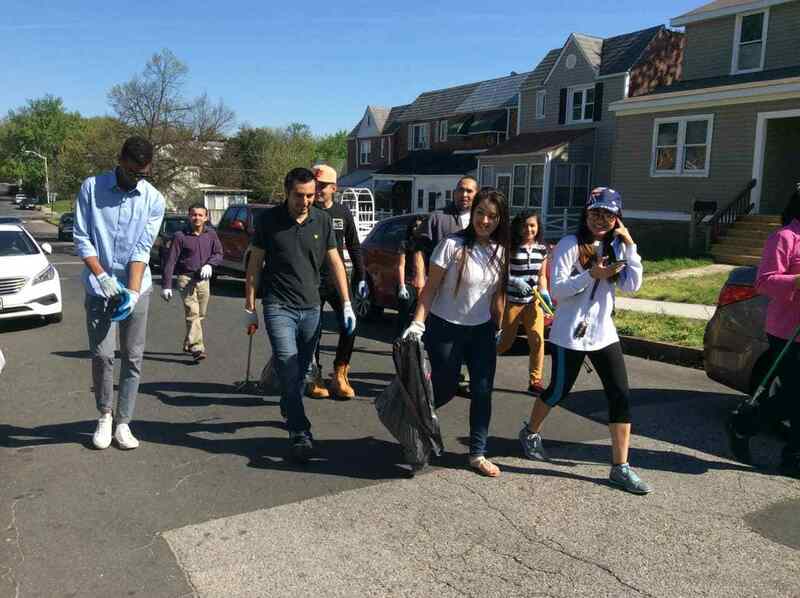 Normally for debris clean-ups, our staff is responsible for leading groups of participants; however, for this community clean-up we adjusted the model to allow congregation members to be group leaders. We believed that empowering them to lead fellow congregants and community members would lead to a higher likelihood of sustainability of these efforts. So the Pastor and his wife recommended members of the congregation to be group leaders for this community clean up. Met with the Pastor and his wife 4 times to discuss our collective programming goals. These meetings were a great way to share our collective ideas on what types of programs are of interest to the congregation and methods to best engage their congregants. Talked to 65 adults and 50 youth during two visits with the congregation to inform members about upcoming events. This method of event promotion is successful because you are being directly introduced by the Pastor, a respected leader, and you are then able to reach a larger audience. 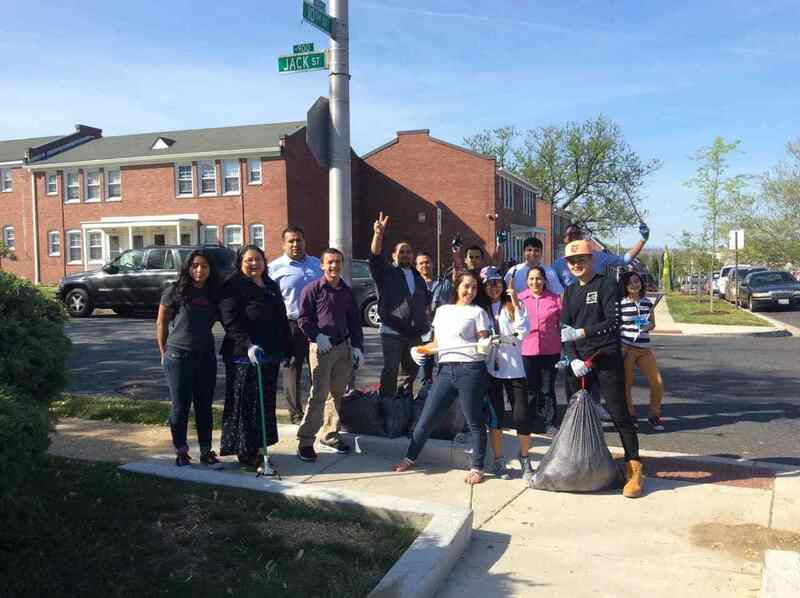 Engaged 80 adults and 34 youth during a community clean-up on April 24th. 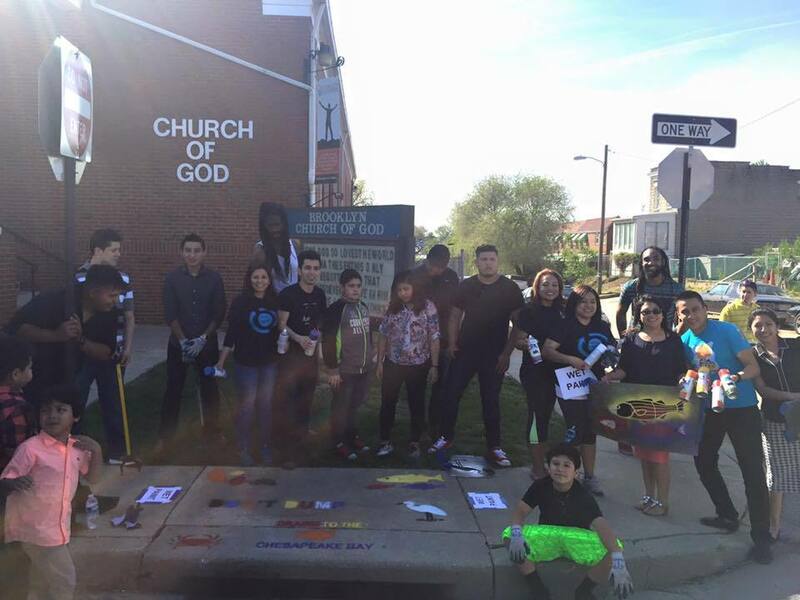 Participants also stenciled 5 storm drains during the event. The Pastor and his wife assigned their congregation leaders as our cleanup group leaders for this event. The congregation leaders then brought their cohorts to the cleanup which resulted in a wide attendance. Hosted a Watershed 101 workshop at Masonville Cove with 3 attendees. The attendees were the Pastor and his two sons. We learned that we had the Pastor’s buy in for our work, but our message had not reached the congregation by simply talking to them about the event at church service. The Pastor felt disappointed that his congregants did not come to an event, however he did see that our work and associated projects are not only important but that they are fun and engaging. After this event, he took a bigger leadership role in order to ensure that his congregation was engaged. Students from the Youth Group were planning to come to our April 2nd Masonville Cove clean-up, however due to inclement weather, they were unable to attend. We learned that targeting a specific group within the congregation is a great way to get a focused attendance. The youth group and the congregation leadership group are tight cohorts who will come together when requested by the Pastor and his wife. 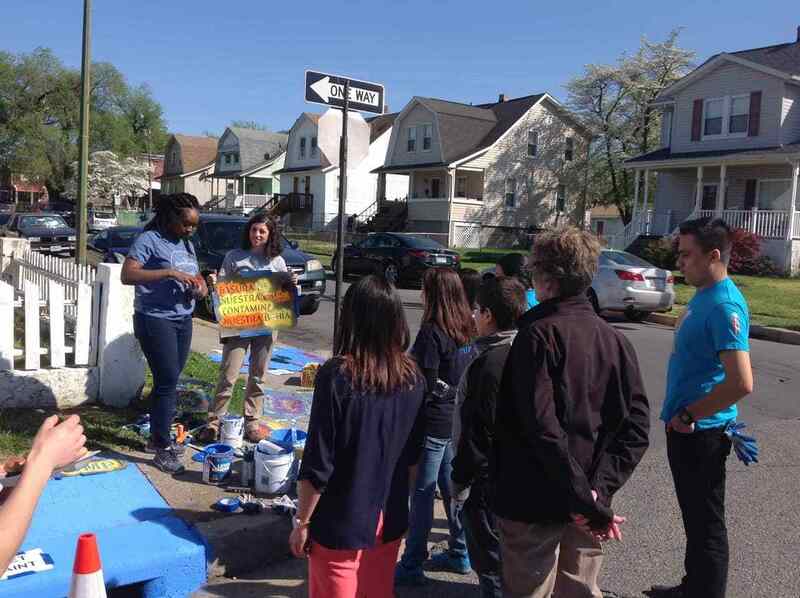 Gaby Roffe (right, National Aquarium) and Nia Edwards (left, Hispanic Access Foundation), instruct TAYR congregation members for storm drain stenciling with stencils in English and Spanish. "Basura de nuestra calle contamina nuestra bahía" which means "Trash on our streets today pollutes the waters of our bay"
Over the years, we have built a very strong relationship with Ben Franklin High School (BFHS), as their students participate in many of our environmental education programs. 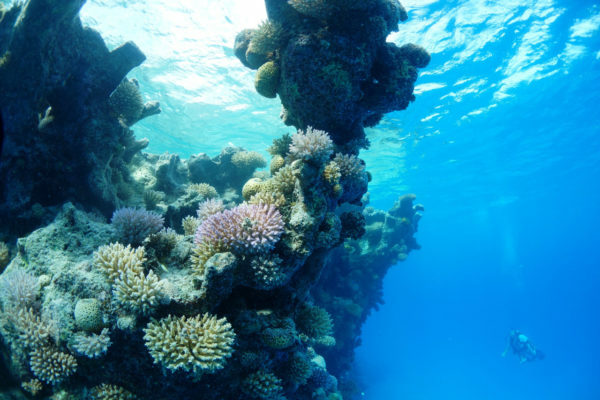 Courtesy of this project, we have been able to engage them on a different level, focusing specifically on their community and collectively determining solutions to local environmental issues, specifically debris accumulation. BFHS has a growing Hispanic student population and English as a Second Language Program. Due to the language barrier, our past programs weren’t doing as good of a job as they could be to engage these students. Having staff on board now that are learning to and/or can speak Spanish fluently has been a huge step in the right direction. Now we can truly ensure that our programming is all-inclusive by translating programming into Spanish and making an effort to reach out to Hispanic students. We’ve coordinated various workshops with the Environmental Science teachers and worked with administrative staff to plan Benfest, a community event hosted by BFHS. Engaged 39 students during 3 Watershed 101 workshops. Engaged 52 students during a classroom visit and schoolyard walk focused on stormwater runoff and designing possible solutions. Engaged approximately 800 people at Benfest, during which participants received and decorated 45 recycle bins, stenciled 3 storm drains and picked up trash around the schoolyard. We targeted the Environmental Science classes which had already been engaged through our Watershed lessons. The teacher informed us that she had many ESL students in her classes and it would be helpful to lead groups in English and Spanish. All of the students were excited about this, both the Spanish speaking students, who were excited to have programming tailored to them, as well as the students who did not speak Spanish, who were excited to hear translations. Partnering with an existing community event is a successful way to engage a wider audience. We were able to pull new community members into our programming and engage larger numbers in hands on community stewardship activities. Lakeland Elementary/Middle School has a Hispanic parent group that hosts monthly breakfasts. We have attended in order to hand out flyers, highlighting different events, both in the community and at Masonville Cove. Through this group we have connected the Hispanic community members to Masonville Cove and learned about their programming interests. The majority of the audience was unfamiliar with Masonville Cove and their programming. They did exhibit initial interest in programming, although it has been challenging to follow up with this group because we do not have their contact information and they only meet once a month. We may have to explore and implement different strategies in order to engage this group. In the past we did not use a direct approach to connect with Hispanic communities, so we cast a wider net throughout the community to advertise programs and events. This community pillar strategy is proving successful in allowing for a more direct and focused approach to identifying, selecting and engaging specific audiences and building trusting relationships with them for continued involvement. We have learned that in order to build trusting relationships with cohorts, it is important to communicate on a regular basis with the group leaders, who are trusted by community members. When the leaders vouch for your events, community members are more likely to attend. It is also important to attend community events that might not necessarily be related to your work, but helps build a relationship that is a two-way street. Based on the results to date, we will focus the majority of our efforts over the summer towards the TAYR congregation, continuing to involve them in community clean-up events, workshops and field trips to Masonville Cove with their Youth Group. As we progress we will be able to identify community champions from this congregation as well as identify opportunities to partner and engage with other community pillars.